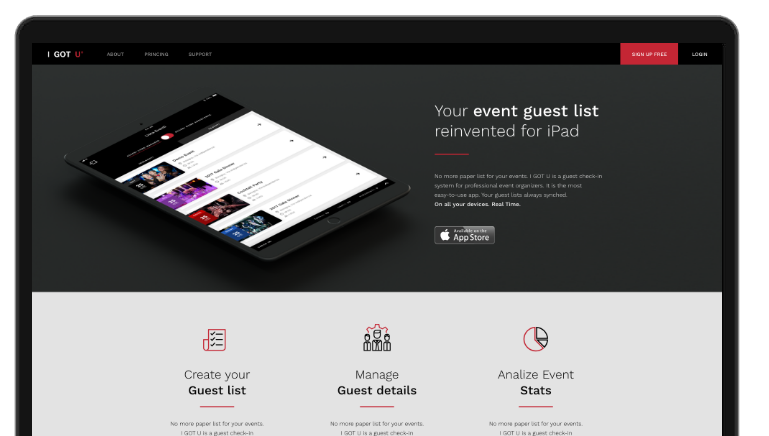 What have you been using to check-in guests attending your events ‘till now? 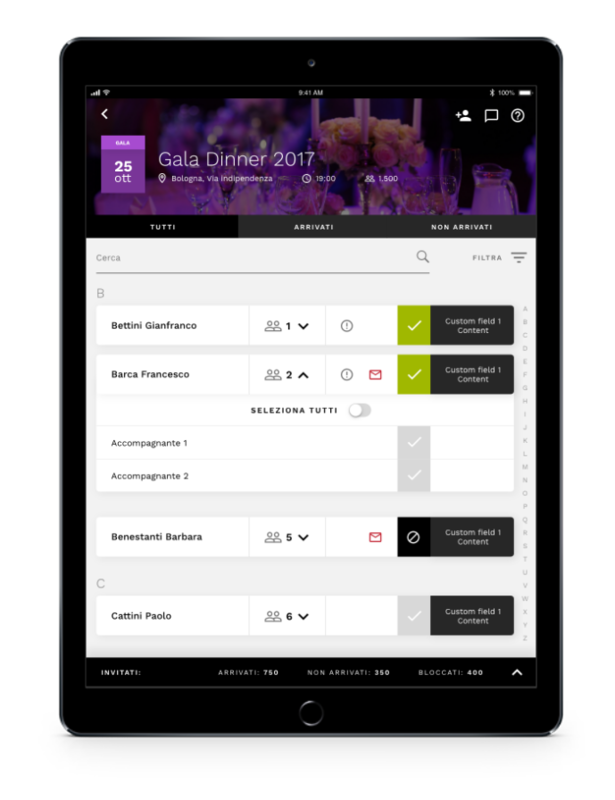 No more paper list for your events: I GOT U ® is a guest check-in system for professional event organizers. It can be used simultaneously on multiple iPads and all information is synchronized in real time. It is the most easy-to-use APP, supported by a practical back-end website. Always synced. Real time. On all your devices. It’s as easy as creating a paper list… but after trying I GOT U ® you won’t print a paper list anymore! No credit card needed, no activation costs and 50 check-ins free ! Sì NO servizi srl | Your partner for software supports and IT services in Event management.